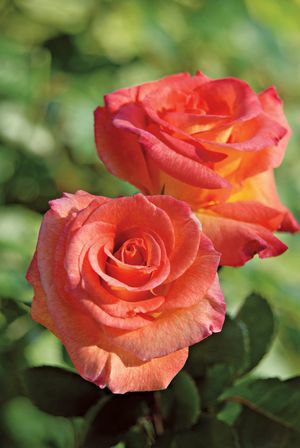 Truly reminiscent of the carefree days of Mardi Gras, this new Floribunda has a large cluster of flowers with bright yellow, orange and pink hues. 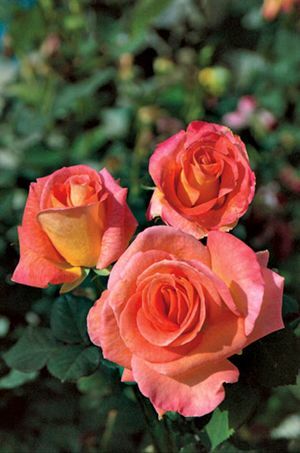 As a strong repeat bloomer, with a good fragrance, Mardi Gras will likely become one of your garden favorites. In form, this rose would be excellent as either a specimen or a small hedge, and is very heat resistant.